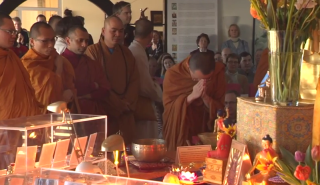 President of Buddhist Federation of Norway since 1987. (MA religious studies University of Oslo). Head of the Norwegian Council for Religious and Life Stance Communities for 6 years. 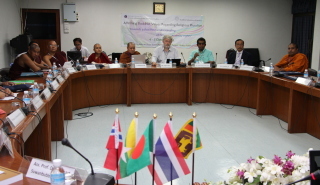 Involved in conflict resolution in Sri Lanka including an international conference in Bath UK (2002) and a BFN delegation visit to the country (2003). Also involved in Tsunami relief work in Sri Lanka. 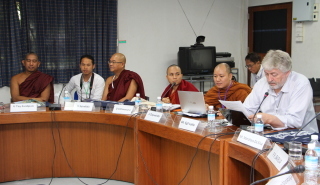 From 2000 onwards involved in project of The Oslo Coalition on Freedom of Religion or Belief (OC) in China. Participated in the Sino-Norwegian governmental HR dialogue for 4 years. 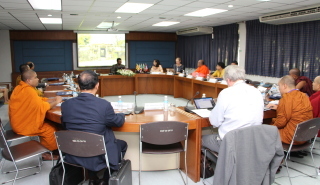 Is a member of the executive committee of International Council of the Day of Vesak (Thailand). 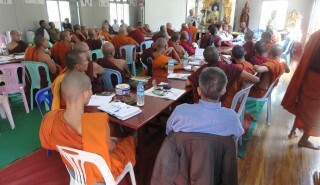 Successful workshop organized at the Asia Alinyaung Monastery in Pyin Oo Lwin, Mandalay Division on 20. – 21. February 2015. U Tayzadipati: By citizens’ laws or by religious customary rules?